Sticky fingers and gelatin desserts! 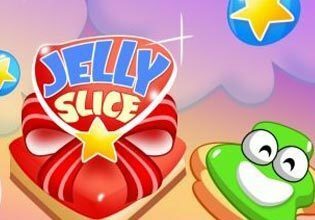 Jelly Slice is a unique brain and puzzle game in which you use your fingers to slice the jelly and collect the stars.There is only one rule: Slice the jelly so that each slice contains only one star.Sounds simple? You will need a good dose of creativity and skill as you progress. Do you think you can get a perfect score for every level by collecting all the stars? Find out now. This free version of Jelly Slice will take you through 3 jelly packs for a total of 60 sticky levels filled with challenge and fun. Get ready for some slicing action!